It’s no surprise to see so many injuries this early in the NFL. This is the sport, after all. The New England Patriots seem to have it really bad as their two most important run stuffers in Jerod Mayo and Vince Wilfork are out for the season, while the already troubled Atlanta Falcons have lost their best receiving threat in an awful, awful season for them. There are the Chicago Bears, with interior defensive players dropping like flies, as Henry Melton seems to be the biggest one they should be concerned about, although the Denver Broncos provide a relief as a team that lost a big piece in Ryan Clady, which doesn’t seem to be affecting them at all. Julio Jones, Atlanta Falcons – One of the best receivers in the NFL injured his right foot and is out for the season, leaving the 1-4 Atlanta Falcons not just stunned with how badly they’ve done this season, but also without too much hope to climb out of the hole. Ryan Clady, Denver Broncos – You wouldn’t know it by their record and performances, but the Denver Broncos are missing their best offensive tackle in Ryan Clady, who is out due to a Lisfranc injury he suffered during a Week 2 matchup against the New York Giants. 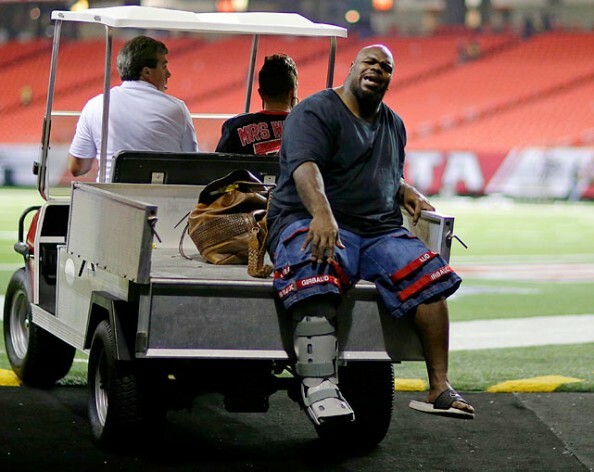 Vince Wilfork, New England Patriots – The main reason the Patriots have been so good at stopping the run over the last few years has been the presence of defensive tackle Vince Wilfork, who is out for the season with a torn Achilles tendon. Jerod Mayo, New England Patriots – A two-time Pro Bowler and the team’s leading tackler, the Patriots will have to do without their best linebacker after he tore a pectoral muscle, putting even more strain on their already injured defense, especially when it comes to stopping the run. Henry Melton, Chicago Bears – The Chicago Bears keep losing vital pieces from their usually excellent defense, as Henry Melton tore his ACL last month, and instead of building on his Pro Bowl season from last year will have to begin rehabilitation. 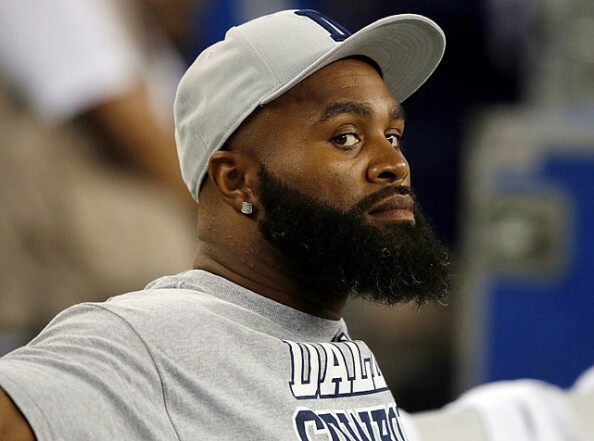 Anthony Spencer, Dallas Cowboys – The Cowboys used the franchise tender for the second straight year on Spencer, but the linebacker-turned-into-defensive end injured his knee for the second time in a few months, and will have to undergo surgery once again. Ahmad Bradshaw, Indianapolis Colts – Just when it looked like the Colts were becoming a mean, lean running machine with the dual threat of Ahmad Bradshaw and Trent Richardson, the two-time Super Bowl champion got himself a nasty neck injury, keeping him out for the rest of the season. Chris Snee, New York Giants – It’s not like Chris Snee has been playing particularly well this season, but the All-Pro guard out with a hip injury just means more trouble for the second worst team in the NFL. Luke Joeckel, Jacksonville Jaguars – Nothing is going right for the Jags this season, not even with their draft picks, as Luke Joeckel, the number two overall pick in the draft, picked himself up an ankle injury that ended his rookie season way too early. Lorenzo Alexander, Arizona Cardinals – Alexander made the Pro Bowl last year, but after signing a three-year deal with the Cardinals is out for the season with a Lisfranc injury to his right foot as it seems outside linebackers just can’t stay healthy for this team.